On June 10, Swann will hold our third African-American Fine Art sale of the 2013-14 auction season. The Shape of Things to Come focuses on art made in the 1960s and 70s by artists whose work is being re-examined and prized today by institutions and collectors. 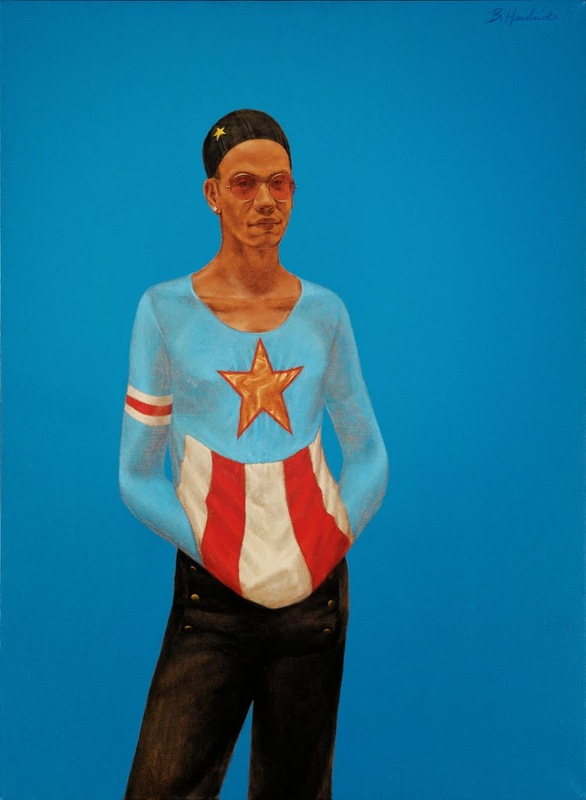 Barkley L. Hendricks, Sergio, oil on canvas, 1972. Estimate $80,000 to $120,000. At auction June 10, 2014. The catalogue will be available in print and online soon, but if you can’t wait, we’ve posted some of the highlights on our website. The preview opens Thursday, June 5, and the full exhibition schedule can be found here. In October, Swann held a curated auction of postwar African-American fine art entitled Point of Departure, which focused on the evolution of African-American art in the mid-20th century and the growing internationalism of the art world. The sale resulted in a new artist record for Norman Lewis at auction, when an untitled blue painting by the abstract expressionist sold for $581,000. Our February sale, Shadows Uplifted: The Rise of African-American Fine Art, concentrated on works by artists who emerged from the shadows of academic and genre painting and defined a new visual culture during the Harlem Renaissance and WPA eras. The auction saw record prices for paintings by Joseph Delaney and Dox Thrash, as well as for a print by William H. Johnson.